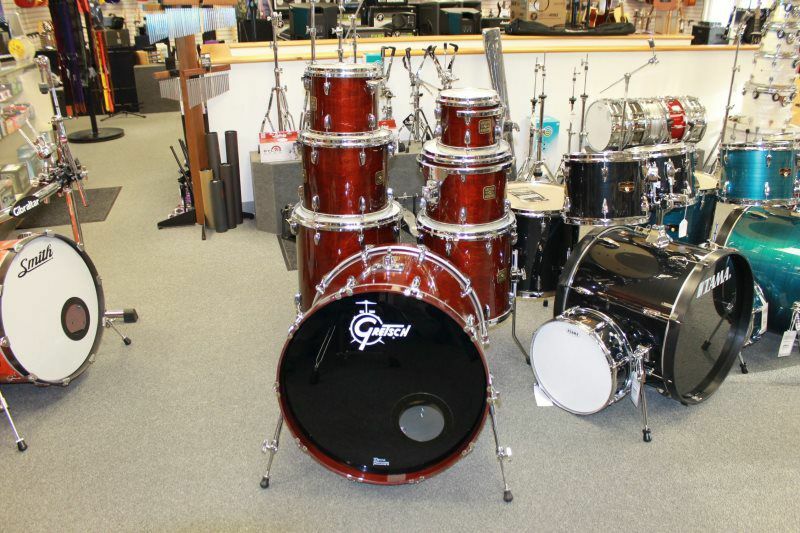 This 7 piece Limited Edition Smith Drum kit just came in on consignment. All 7 piieces have a badge stating: # 1 of 250, #2 of 250.....up to #7 of 250. The sizes are 8,10,12,14,16 hanging toms, a 22" bass drum and 14" snare drum. The drums are in excellent condition, sound great and are truly a unique set!! The shells are reported to be Jasper shells made of maple/Gum Wood. The workmanship is a grade above. 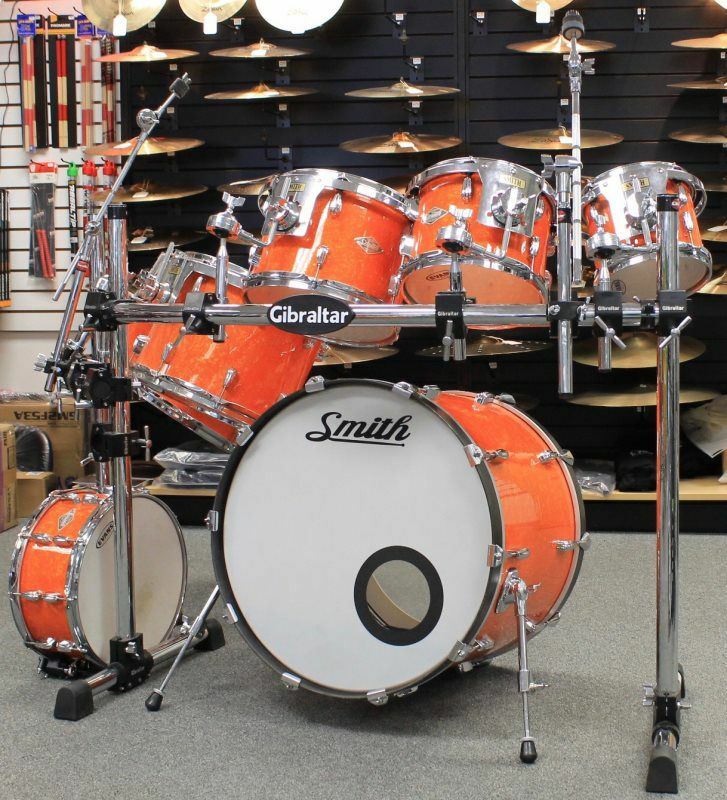 The Smith company was a small group of custom builders paying close attention to the small details during the build process, resulting in great sounding drums. It also comes with a great Gibraltar rack. 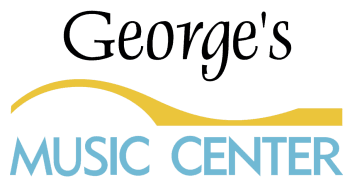 Hey George, just a note on these orange Smith limited edition drums. The label indicates that the shells are not keller maple, they are genuine vintage jasper maple/gum shells (VJMG) except for the snare. Same exact shells used by Gretsch from the same shell factory in Jasper Indiana. Smith made 250 drums for Sam ash using this shell and the vintage lug for a limited run. This must have been part of that run. Also, they had access to the jasper shell because Smith did much of the custom artist work for Gretsch (little known fact) and had a direct buying relationship with the Jasper factory in Jasper Indiana. Just thought you might like the info. I used to work there. Please ask al questions, as this is a consignment instrument and ALL SALES ARE FINAL!! LOCAL PICK-UP ONLY!! NO SHIPPING!